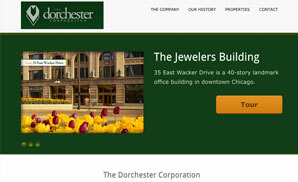 The Dorchester Corporation owns, develops, and manages real estate investment properties in Canada and the United States. Since its incorporation in 1966, it has been active in all aspects of the real estate industry including greenfield development, property management, asset management and investment banking. The project objectives included the conversion of an obsolete Flash-based website to a responsive design website that is supported in any desktop computer and mobile device.